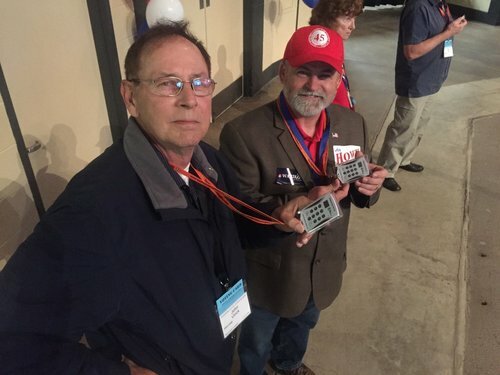 #mngop is going to paper ballots. 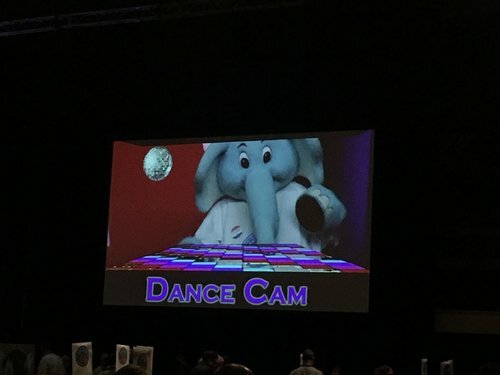 Third electronic voting test about to begin at MN state GOP convention. Brevity is sometimes the wisest course. 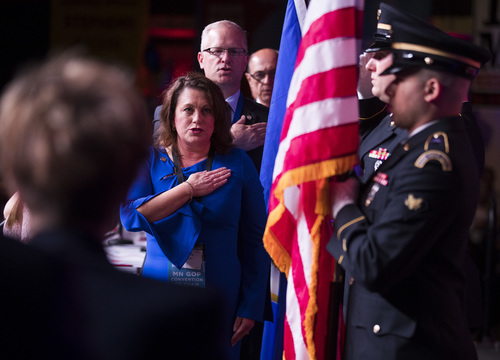 Sen. Michelle Benson, R-Ham Lake, places her hand on her chest during the playing of the national anthem before the 2018 Republican Party nominating convention. 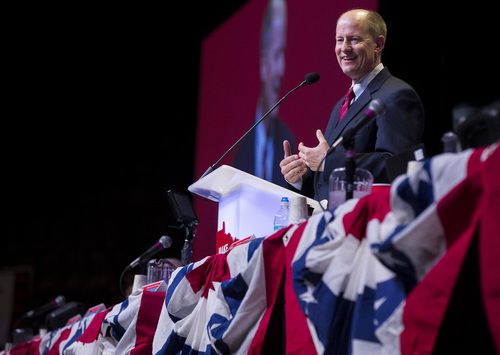 Delegates sing the national anthem before the start of the 2018 Republican Party nominating convention Friday, June 1, 2018, at the Duluth Entertainment and Convention Center in Duluth, Minn.
Senate Majority Leader Paul Gazelka, R-Nisswa, speaks to delegates at the 2018 Republican nominating convention Friday, June 1, 2018. Photo by Derek Montgomery for MPR News. 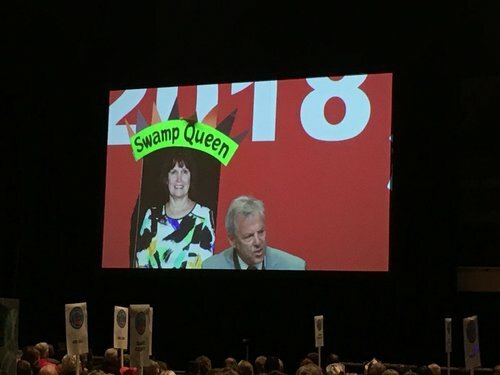 Fourth district challenger Greg Ryan talks about defeating Democratic incumbent Betty McCollum after placing a "Swamp Queen" crown atop a print out of McCollum Friday, June 1, 2018, at the Duluth Entertainment and Convention Center. Photo by Derek Montgomery for MPR News. A third practice vote is now planned. Once everything works, it'll be on to U.S. Senate candidate endorsements. GOP convention delegates giving practice electronic voting a second try and it looks like it's working. "Keith Ellison" is a popular "boo" line at this #mngop convention. Agenda amended to have the #mngov endorsement vote earlier in tomorrow's business. 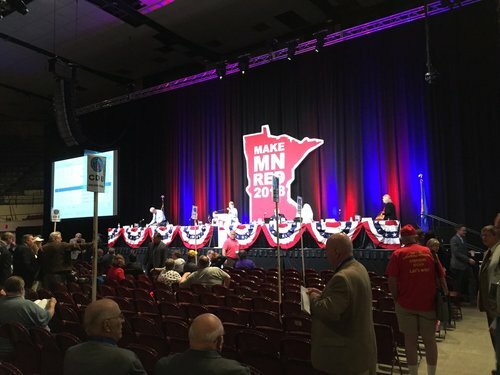 Test vote at #mngop convention dealing with an agenda reshuffle. Division over a proposal to flip party constitution changes and #mngov endorsement (currently last item). 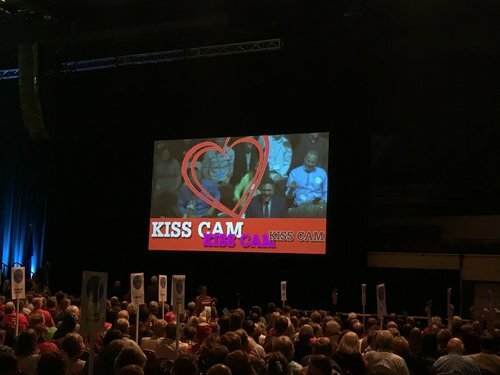 One fear is delegates could leave town early and lead to a no-endorsement outcome. 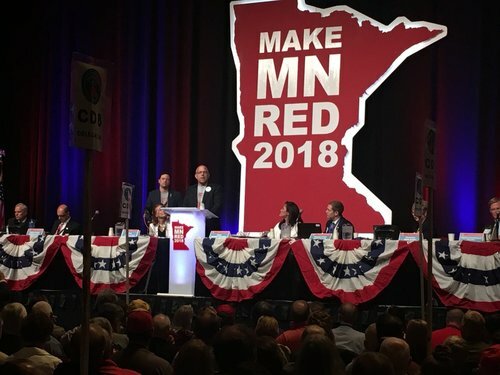 As the MN GOP state convention gets underway party leaders are repeating calls for unity once endorsement battles sort out themselves . There's particular concern about tomorrow's endorsement for governor. Gazelka, who is backing or at least helping raise money for @timpawlenty for #mngov , makes a plea for post-convention unity. "Once we go through this, we gotta be one." Gazelka says he's confident of a victory in "winner-take-all race" for state Senate majority and pivots to prospect of full GOP control of state government if House stays with party, gov's office flips. "This is the moment."
. 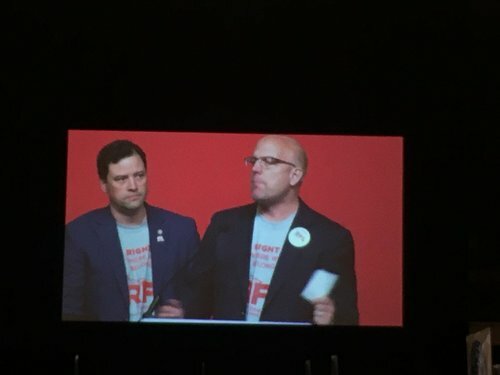 @paulgazelka , at state GOP convention, brings up Dayton's vetoes of bills pertaining to wild rice, oil pipelines, opioid abuse, protest penalties, tax cuts. "It was sort of like everywhere we turned a good Republican plan got vetoed." Gets applause by saying, "he is done." At state GOP convention, @RepJasonLewis : "Greetings from Washington, where one week you're on the cover of Time, the next week you're doing it." #mngop convention weather report 44 degrees and gusty. Good day to be inside. Now over to @bbierschbach for the #mndfl forecast. 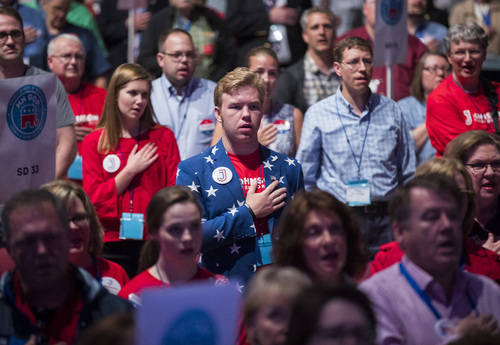 Both of Minnesota's major political parties hold their state conventions this week. Democrats meet in Rochester as the Republicans meet in Duluth. Here's what you need to know. 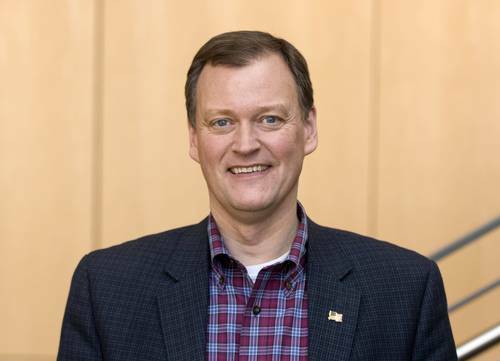 GOP State Rep. Jim Newberger, challenging incumbent DFL U.S. Sen. Amy Klobuchar: "How she votes in DC doesn't line up with how she portrays herself at home"
Karin Housley, GOP candidate for U.S. Senate, on DFL incumbent Tina Smith who previously was lieutenant governor under Gov. Mark Dayton: "She owns all the failures of the Dayton administration"
Former Minnesota Gov. 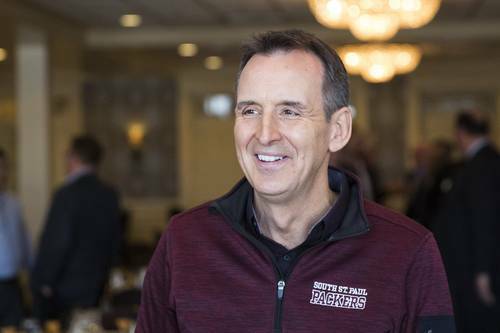 Tim Pawlenty will be the elephant who's not in the room in Duluth. Pawlenty wants his old job back, but he's skipping the convention to run in the August primary. This year marks a critical election for Republicans, who haven't held the governor's office since 2010. If Republicans can maintain their hold on the Legislature and win the governor's race in the fall, it will mark the first time they've controlled government in the modern era of politics. But activists and candidates must weigh one big factor year: Do they try to recreate the populist message that helped Trump, who nearly won the state in 2016, or do they back away from the president at a time when his approval rates are low? The Hennepin County Commissioner is taking his second run at the governor's office, after losing to Dayton in 2014. This time, Johnson is trying to capture the drain-the-swamp message that helped Trump nearly win Minnesota, campaigning on undoing government regulations and limiting power in St. Paul. He's also arguing he's a better option than Pawlenty, earning the endorsement of Pawlenty's former lieutenant governor, Carol Molnau. Johnson is seeking the party's backing and was a clear favorite in the Republican precinct caucus preference poll in February. 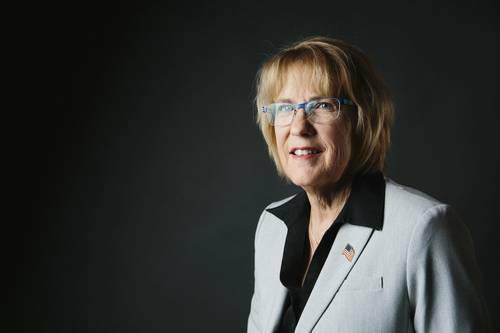 Giuliani Stephens is an attorney and the two-term mayor of Woodbury who previously served on the Woodbury City Council. She wants to make the jump from local to state politics in her run for governor, touting her executive experience balancing city budgets and her willingness to work with members of both parties to get things done. 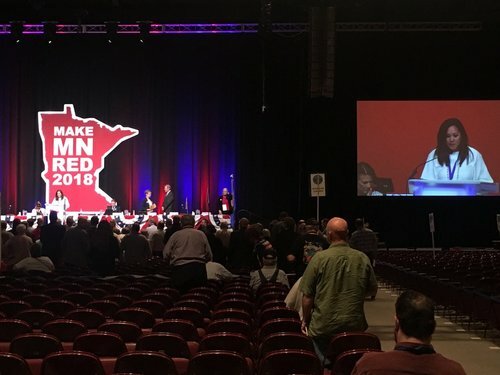 She's the only Republican woman running for governor and is considered a potential dark horse candidate in the race for the endorsement in Duluth. The former two-term governor has already raised more than $1 million, greatly outpacing the other Republicans seeking the nomination. Since leaving the governor's office, Pawlenty spent five years lobbying for banks in Washington, D.C., something his opponents are already using against him, but he's running on issues like eliminating Medicare fraud, cutting social security taxes and cracking down on the opioid epidemic. After initially saying Trump was "unfit" for president, Pawlenty said he ultimately voted for him. 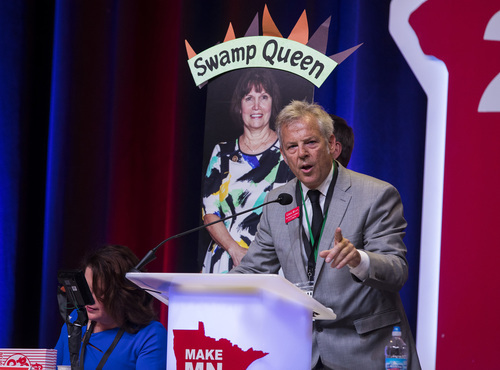 It's been a decade since Minnesota Republicans held a U.S. Senate seat, but this year they will get two opportunities to change that. That includes the race against DFL U.S. Sen. Amy Klobuchar, who is seeking a third term this fall. 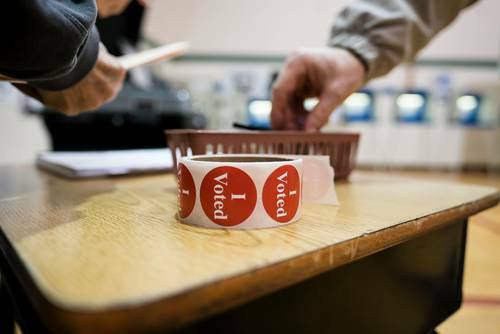 Republicans have struggled to chip away at Klobuchar's popularity in the past, losing to her by more than 65 percent of the vote in 2012, the last time the seat was on the ballot. 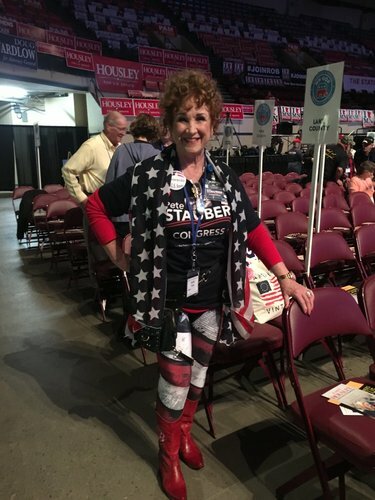 This year they've recruited a Republican state representative who is channeling Trump in his attempt to win the seat. 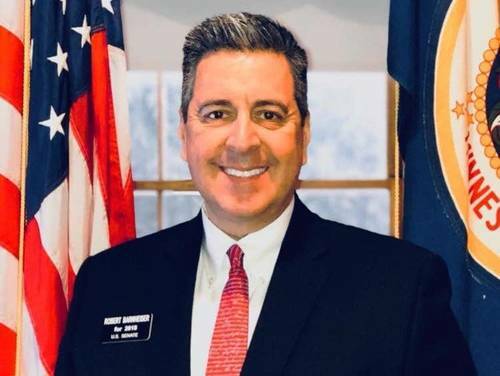 Newberger is a three-term Republican representative from Becker who is leaving the chamber to run for the U.S. Senate. He worked for more than three decades as a paramedic before getting into politics. 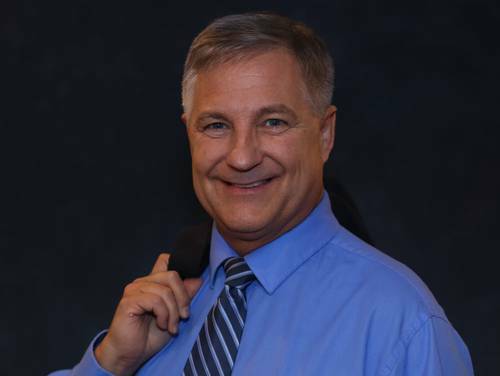 He's focused on public safety and environmental issues in St. Paul, but in the race for the Senate, he's running on an anti-abortion, pro-Second Amendment rights platform and is closely aligning himself with the Trump administration. 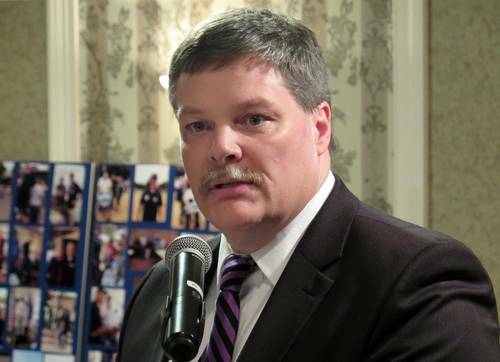 Barnheiser is a former minister and firefighter and an activist who is running on an anti-abortion platform. He also opposes women and minority hiring requirements and wants to make faith a stronger part of public and government life. After losing a United States Senate seat to Franken by just 312 votes in 2008, Republicans hope they can capitalize on his unexpected departure to win it back this fall now that Franken resigned. But Republicans must still run against an incumbent after Dayton appointed Democrat Tina Smith to replace Franken. It's expected to be an expensive race with plenty of national groups targeting the seat. 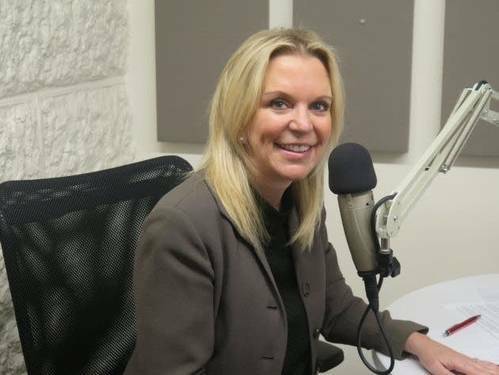 Housley is a realtor and two-term Republican senator from St. Mary's Point. She jumped into the race to replace Franken early and has locked up plenty of GOP support behind her, including the endorsement of Republican House Speaker Kurt Daudt. She's touting her work to prevent elder abuse and cut regulations and lower taxes for small businesses. She already has name recognition in hockey circles: Housley is married to NHL Hall of Famer and Buffalo Sabres head coach Phil Housley. 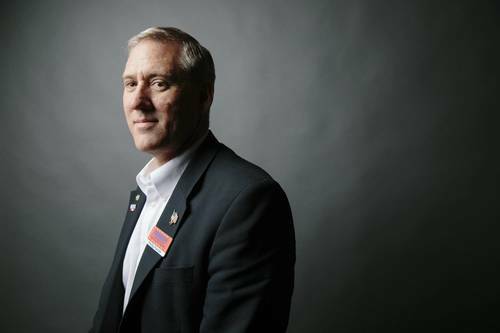 Anderson is a small business owner and "outsider candidate" who is running for the GOP endorsement by closely aligning himself with Trump, whom he said, "paved the way for every forgotten man and woman when he challenged the status quo of a broken system."